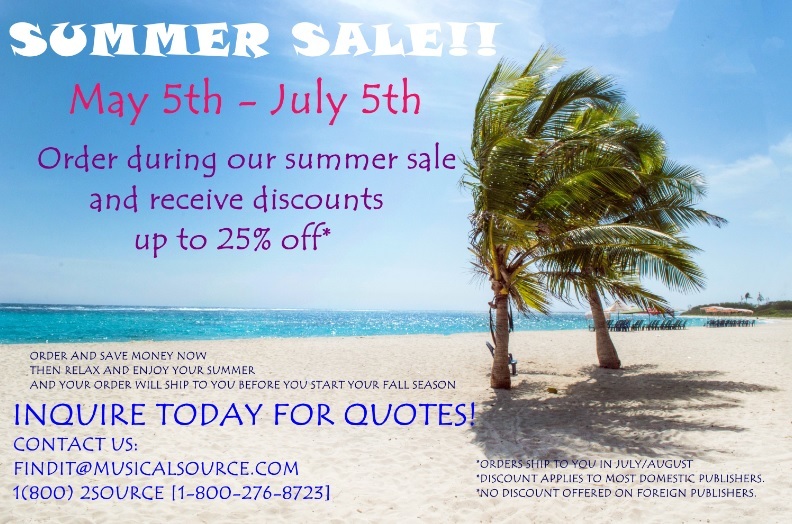 Daily Discounts up to 20% Off Inquire Today! New Graphic Design Service Offered! We are partnered with a new Graphic Design Artist, Jennie Weyman, in offering customers graphic design services! Contact us at findit@musicalsource.com if you're interested in learning more. To view Jennie's full portfolio, visit her website here. Read more about New Graphic Design Service Offered! 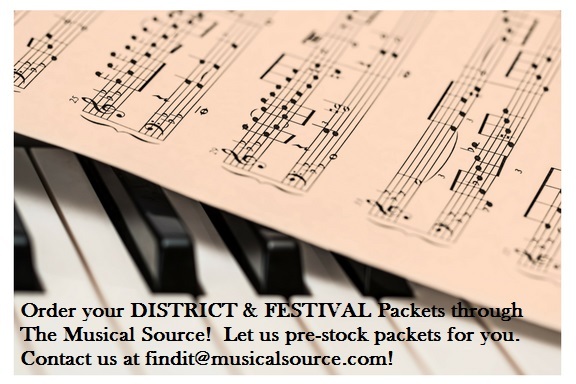 Read more about Have Districts or a Festival Event You Want us to Pre-Stock? Call us Today! Read more about We are settled in Virginia!